Problems viewing eletter? View it online. This winter is a very critical time for prolifers to be engaged in action. Our Kentucky legislature will be considering bills to defund Planned Parenthood and to defend conscience rights. It will be a short session. Let's show our gratefulness and desire for even more ACTION! Please join us for the Rally for Life. 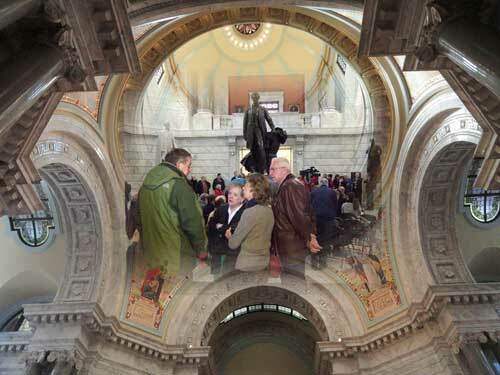 Meet your new state Senators and Representatives and hear Governor Matt Bevin! A ceremonial signing of the Pain Capable and Ultrasound bills will be part of the event. SPEAKERS will include Senate and House leadership and prolife leaders. Visit our website next week for an updated list of speakers. ENTER the KRLA ESSAY CONTEST! the fight for life into the future." Apply! Please remember KRLA's Educational Foundation with a donation when you shop on Amazon. Go to: Smile.Amazon.com and choose our Educational Foundation to benefit from your Amazon online shopping. THANK YOU! LIKE us on Facebook and help expand our outreach! Follow us on Twitter and Tweet our news!